Roland, who became a partner in 2015, started his career in conveyancing in 1980 and qualified as a licenced conveyancer in 1992. He is head of Howell & Co’s Property Department, having joined us in 1995. 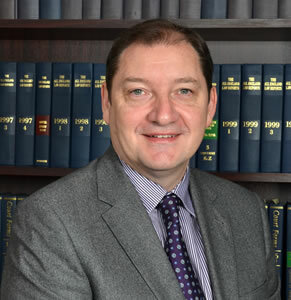 Roland has vast experience in residential and commercial conveyancing, landlord and tenant law, wills and probate. This experience has been gained over a period in excess of thirty years. Roland has forged relationships with many local estate agents and National and International developers, including Housing Associations, Private and Public Development and house building Companies. Roland’s Property Law advice is often sought by other firms of Solicitors. He takes pride in the fact that he and his support team offer a dedicated, professional but also personal and friendly service, which always receives excellent feedback from satisfied clients.